Humans perceive frequency of sound waves as pitch, or low and high notes. Sounds around 20 Hertz are very low, while sounds close to 20,000 Hertz are very high. Dogs can hear twice as better as humans. If you have ever watched a dog listen, you will notice that they have the ability to move their ears in different directions. This helps them locate the exact source of a sound. If you're watching television and your dog walks into the room, he may move his ears to try and decide whether you're talking to him or the voice he hears is coming from the television. 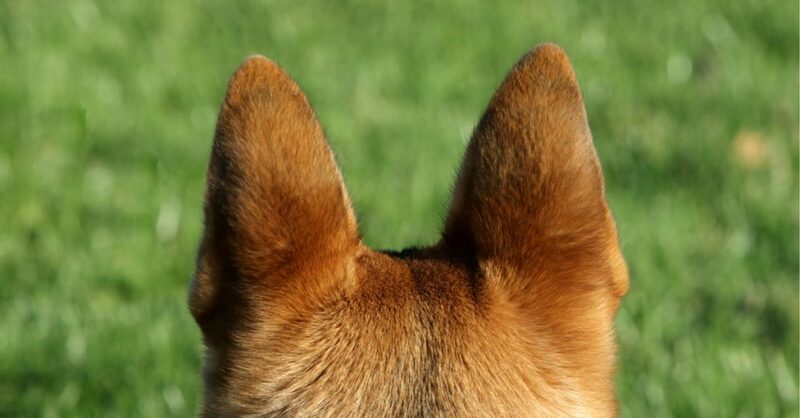 Not only can dogs perceive frequencies almost twice that of human ears, they can also hear sounds approximately four times farther away than humans. This is because dogs have a much better hearing range than we do. What you hear at 20 feet, your dog can hear from 80 feet away. This super sense of hearing makes dogs well suited to guard the house and warn their owners when something is going on. So thank your pup!